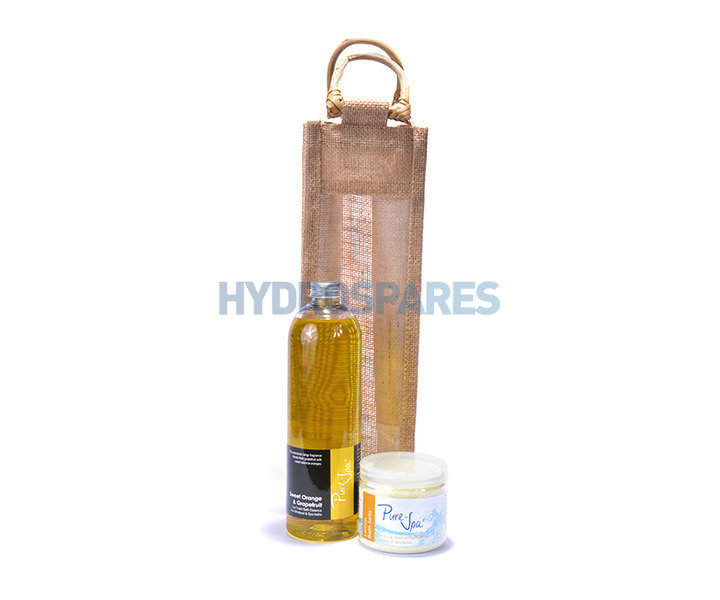 Pure-Spa Low Foam & Bath Salt Gift Set - Citrus Blast - in Jute Gift Bag. This zingy citrus blast set is the perfect pick-me-up gift for your favourite person - any time of the year! In the bag is one 500ml bottle of our Pure Spa Sweet Orange & Grapefruit Low Foam Bath Essence plus one 250g tub of our Pure Spa Energising Lemon Dead Sea Bath Salts. Suitable for Whirlpools & Spa Baths.